INDUSTRY.co.id - Bali - The Indonesian Travel Association (ASITA) is taking advantage of the Imlek momentum as a promotional event for Indonesian tourism to attract tourists from China by holding new year celebrations just like in their country. According to Asnawi, the momentum is expected to be one of the best ways to attract tourists from the country with the panda icon, considering Imlek is a long holiday in China. He explains each year during the long holiday, it is estimated that about 250 million Chinese people go home and travel abroad with his family. But of that number, he added, Indonesia is only able to scoop about 2.5 million tourists from China, the number is still considered far compared to other countries in Southeast Asia. "The potential of Indonesia is great, we hope to promote the potential, so that the number of tourists is not limited in Bali alone, other areas will maximize marketing and sales promotion," he said. As Indonesia's main tourism destination, Bali is expected to attract more tourists from China as it is the country's favorite tourist destination. Head of Bali Provincial Tourism Office Anak Agung Yuniarta Putra who attended the festival, said most Chinese tourists love the beach tourism on the Island of the Gods including shopping Balinese handicraft items. 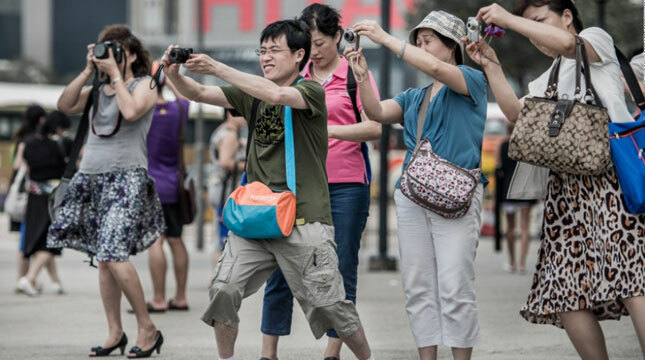 The average amount of Chinese tourists spending on each visit to a tourist destination, he said, is estimated to be around 1,000 US dollars with five to six days' stay. "Tourist arrivals from China have started to rise, before eruptions per day the average arrival is around 15 thousand and now it has reached 17-18 thousand per day," he said. At the Lunar New Year festival, the celebration of the new year is done in a special manner that is colored by Balinese cultural art, contemporary and blend with culture from China. Chairman of the organizing committee Imlek Heri Sudiarto said the estimated number of Chinese tourists who attended the celebration of the new year in Bali was about 1,000 held for two days ie 15-16 February 2018. "Even though they are abroad, they want to feel at home, so we prepare exclusively," said Heri who is also Secretary of China Committee of DPP ASITA.